Catching up with the Band of the Year of 2013. For L’anarchiste, winning the City Weekly Music Awards Band of the Year title in April 2013 came as a surprise. “We just felt really good about it because we didn’t expect to win, and so we didn’t have this pressure,” says Rob LeCheminant, chief songwriter, multi-instrumentalist and lead vocalist. L’anarchiste has more than made good on that goal in the past year, cutting several impressive notches into their band belt. A successful Kickstarter launched about a month after the CWMAs funded their forthcoming debut full-length album, Giant, which was recorded in September with Nate Pyfer at June Audio in Provo and will be released sometime this year. In August in San Francisco, during a West Coast tour, L’anarchiste recorded a Daytrotter session, which Daytrotter listed as one of its top sessions of 2013. One of the songs from the session, “Juneau,” was included on Daytrotter’s Best Songs of 2013 list. While L’anarchiste’s music could often be heard in Utah on KRCL after they won the 2013 CWMAs, it was also popular in the U.K. Through British indie label Choose My Music Records, “Juneau,” was featured on BBC6 and Amazing Radio. 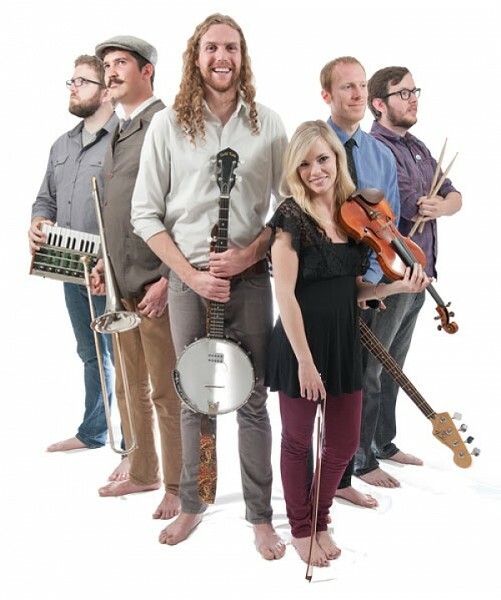 After winning the 2013 CWMAs, L’anarchiste began playing their first shows in Provo, and credit the showcases for helping bands that are limited by geography to discover new fanbases. “A lot of times, it’s harder for bands to cross over into the other valley for whatever reason, because your friends and stuff are in one,” Gilvarry says. As for future projects, in the coming year, L’anarchiste hope to get official management, be signed to a record label and tour heavily outside of Utah. They will also perform at the Treefort Music Fest in Boise in March, and are continuing to work with Pyfer to polish the new album.